You have heard stories about people making their fortune selling online. You are now ready to get stuck in, however you’re not sure how to get started and what everything means. 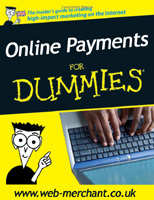 With this guide we will help you understand how online payments work and hopefully will get your business online and trading in no time!